Hip Hip Horray Here comes Sun - but tread carefully. 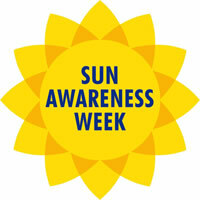 Sun Awareness Week is here again to remind us of the damaging effects of UV rays. May is a fabulous month and a time when we all start to really think about the summer holidays and getting a bit of sunshine into our lives. We all need it and it makes us feel so good. But as much as we love the sun it needs to be treated with a little bit of respect. Having just received a bulletin from Cancer Research regarding 'Sun Awareness Week' I read with interest about our changing habits over the decades and how this has impacted on the rise in skin cancer rates. Did you know that the most common form of cancer is malignant melanoma? I didn’t. Our passion for the sun has had serious implications on us as a nation with skin cancer rates now as much as five times higher than they were 40 years ago. This rise being partly due to the growth of cheap package beach holidays which we have been enjoying since the late 1960s together with the rise in popularity of sunbeds and sunlamps increasing to that figure. All very gloomy indeed but over the years we have developed into a nation of sun lovers, often taking our annual holidays in more exotic hotter climes which our skin is not always accustomed too. Education is vital and something that parents must continually hand down to their children. I think its great that so many organisations and schools take part in Sun Awareness Week highlighting the ‘real dangers’ of the sun. We all want to enjoy it and so we should - our bodies need it - but we just need to be aware and careful. t's all about prevention and it starts young. Cancer Research UK even states that babies under six months should be kept out of direct sunlight. So we at LCR Hallcrest will be fully supporting Sun Awareness Week organized by the British Association of Dermatologists 4-10 May 2015...whilst of course safely enjoying the sun. Back in 2011, it was the event of the decade. The world watched as Prince William married his long-term love, Kate Middleton. 2012 saw London host the Olympics, the Queen celebrated her Diamond Jubilee and of course, Andy Murray ended Britain’s 76 year wait for a male grand slam champion in the US Open tennis final. It was a good year, a great year for Great Britain; a time for the nation to stand together and be proud to fly the Union Jack. Then in 2013, once again the world's eyes were upon us with the birth of Prince George, the first child born to Kate and William and third in line to the throne. So what does the future hold with the birth of the Princess? According to experts, she will bring more than £1 billion to the UK economy over her lifetime and in these times of austerity, who could complain at that. Only time will tell if this is true, however, what we do know from past experience is that when a Royal baby is born something good happens. A bond is formed across our homeland as we come together to celebrate. Whether you love or hate the monarchy, it is seen to represent stability and continuity and is a symbol of Britain’s glorious history. Long may it continue! This week we've teamed up with Gummee Glove to give you 2 chances to win their award winning Anti-Scratch Teething Mittens and our fab Baby Cot Thermometer. Write 'Entered' in the comment box. For an extra chance to win, pop over to Gummee Glove's page and do the same thing here. A winner from each page will be drawn October 31st at 3pm. This giveaway is no way associated with, or endorsed by Facebook. "Some help would be nice, I'm new to this"
Mums and dads would wrap up their little ones in cotton wool if they could. We all want the environment that our child grows up in to be safe and our temperature safety devices are valuable aids in providing that added safety and reassurance during a child's early years. We want the environment our child grows up in to be safe and though we can't help when you step out your front door we can help when it comes to your family home, specifically your child's bedroom/nursery. Grazes, bumps or feeling poorly; there's a visual clue to help us see the problem. But what about your child's room temperature; too cold or is it too hot? Go ahead and turn up the thermostat but hang on, what's warm for you could be too hot for your child and vice versa. Aarrggh! Can't things just be simple? 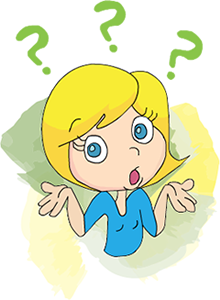 Parents are always second guessing themselves, it's the fear factor of, 'but what if I'm wrong'. Instantly knowing if the room temperature is too hot or too cold is cost effective, as well as a safety precaution. Clips easily over the cot rail. Fits all cot rails up to 25mm width standard. 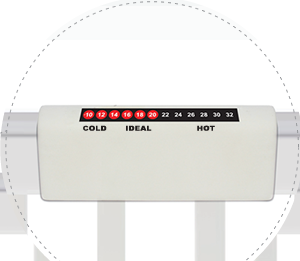 Parents can easily see the exact room temperature as the indicator displays a bright red moving scale. 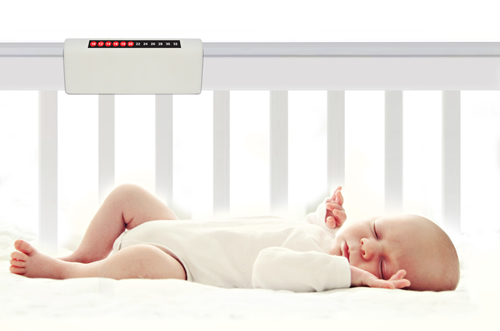 You can see and find out what the room temperature is exactly, and with the indicator be bright red you can open the door and take a peak without worrying of the baby waking up. Being parents ourselves at LCR Hallcrest, we know how it can be difficult judging the temperature of a baby’s bedroom, and with modern heating methods, houses are often much warmer than they used to be. Most temperature monitors have to sit on a shelf or cupboard top, or be close to mains power, which is usually some way from the cot. But it’s the temperature around your baby that you need to monitor, not the room nearer the window or door, or a bit closer to the radiator. So we devised the idea of a simple plastic moulding that clips easily but tightly around a cot rail, close to your sleeping baby. It carries our new generation of British-made liquid crystal thermometry, which is accurate and easy to read. We involved a young design graduate from Brunel who created the shape and 3D rapid prototypes, which we then showed to groups of new mums. The very positive response led us believe we had a potential success, and subsequent meetings with nursery trade buyer have also been extremely positive with some saying they will list in the new year when stock is available. We took the decision to show the product at Kind+Jugend this September, and had similarly good results, and hopefully our first large order. We are now in the process of making stocks for an official launch at Harrogate. We already produce liquid crystal bath and fever thermometers, and we now intend to build a range of other baby safety temperature related products around the new cot Sleep Thermometer. How do babies keep warm during the night? If they're cold what do they do? How do we even know what the temperature is? We love to snuggle up under our duvet to be kept warm and cosy. That Monday morning feeling where you just want to stay in bed, it feels so toasty and just right but you have to get up, work..argh! If during the night it does get a bit cold we turn up the thermostat or go for the cool double layer pj's look. The fact is we can address the situation, something we could take for granted while we sleep through the night. 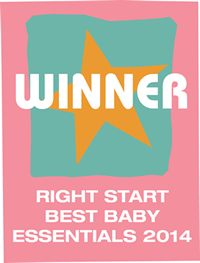 The average room temperature for a baby should be between 16°C to 20°C for a comfortable sleep. Making sure our baby is kept warm through out the night is important, but overheating is linked to an increase of SIDS. As parents we cover the basics;set the room temperature to cover the bedtime period, use blankets or wrap them in a 'Bed time sleep bag'-they are cute. But what happens on the day the thermostat fails or your unaware of how much the room temperature goes up or drops down, how do you even find out? You could sleep in their room all night but that still doesn't help you understand. What's fine for you could be dangerous to a baby. 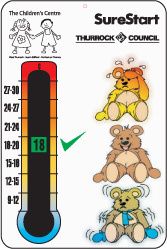 This Bear themed Nursery Room Thermometer clearly displays the temperature range. We need a clear indication of what the temperature is. 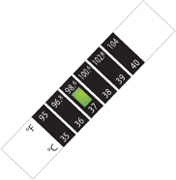 Our liquid crystal room thermometer provides a safe accurate way to monitor a baby's room temperature. With a baby room thermometer you can check the room temperature any time, before bedtime or during the night when they lovingly wake you up because when the room temperature changes, so does the indicator, alerting you to a potential problem that could be ahead. 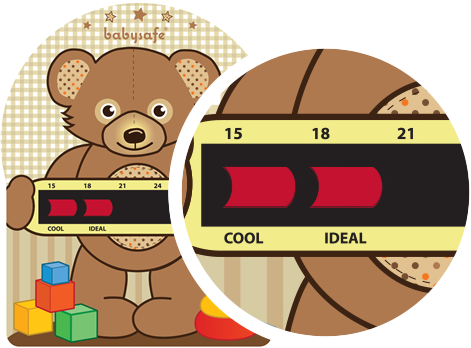 Our baby room thermometers clearly show what the temperature is, there's no confusion here it's basic. Not all spoons are the same. Some vary in size, colour and shape. But then there are a few special ones that can cleverly communicate whether food is too hot for a baby’s mouth. Our babysafe® feeding spoon will instantly let you know whether the food is too hot by dramatically changing colour from blue to pink. The colour change doesn’t just occur on the spoon's bowl but will continue up through the spoon’s handle. Any colour change on the spoon indicates that the food is too hot for the baby’s mouth. Although it does add an interactive level, the main emphasis behind the colour changing spoon is 100% safety first, for your child or baby. The visual indicator, the change of colour, instantly shows you whether it’s too hot within seconds. So it eliminates the guessing and gives reassurance. 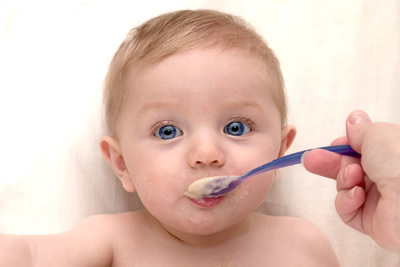 A baby should be fed milk or foods that are not hotter than body temperature, i.e. around 36°C to 38°C. We're the first to admit that a baby might not initially appreciate the value of having a colour changing spoon, that's because it's for parents, carers or guardians of the children. It's our way of helping to get rid of those little nuances of knowing when food is at a safe temperature. Are colour changing spoons safe? We understand your concern and you're right for asking especially when our spoon is used for feeding time, you need to be certain what goes into a child's mouth isn't toxic. Our colour changing spoons are 100% safe, they are ISO: 9001, which means our product has met strict criteria, set by the standard agency and the spoon is also BPA and Phthalate FREE. This clever spoon won a Government Smart Award! Children's bath time can be hard work at the end of a long day. Children may be running around excitedly (or tiredly) and not doing what you would like and you are trying to do a million and one things at the end of a tiring day. Running the perfect bath temperature becomes an art but with experience you get to ‘feel’ what the right water temperature is. It's still a guessing game at times but you'd rather be right 100% all the time, right? The effects of a serious burn or scald on a child can last a lifetime according to the The Child Accident Prevention Trust who are launching a nationwide campaign to raise awareness of burns and scalds and how to prevent them. Research has shown that as many as six toddlers every day are admitted to hospital with a burn or scald injury. Over 300 children are rushed to A&E each week with a scald from a hot drink, many of whom are as young as one or two years old. Many more suffer equally serious injuries from bath water, ovens, hobs, radiators, and fires. 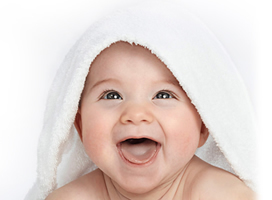 Did you know that a baby's skin is 15 times more thinner than an adults. Hot water from the tap may already be at scalding levels and you need to be certain. What might feel like an acceptable temperature to adults could be dangerously too hot for a baby. So take the worry out of guessing and use our liquid crystal bath thermometer which visibly indicates a safe bathing temperature. 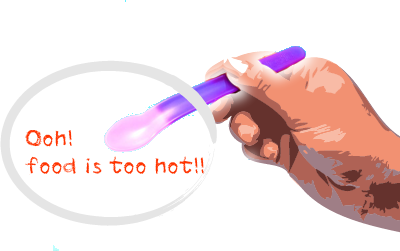 Amongst the necessary steps for pouring the perfect bath an easy to read baby bath thermometer comes in handy and takes the guessing out-it clearly states if the temperature of the bath is too hot or not. 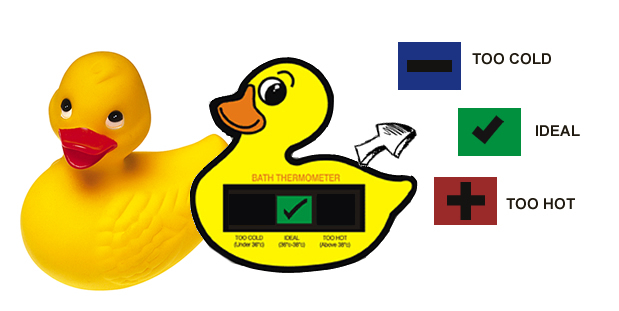 Request a sample A Duck Baby Bath Thermometer with a tick indicator, along side the classic bath time toy that inspired the design. Teaching children hot water safety from an early age is important. 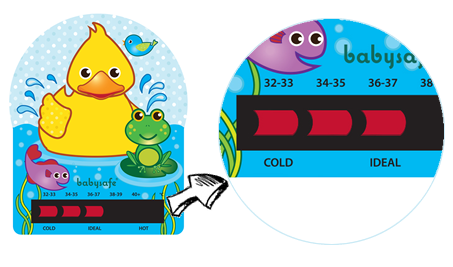 These fun bath thermometers can aid in teaching them what is an acceptable temperature. Explaining to children the water is hot is easy if you have the steam rising and windows condensed but sometimes hot water doesn’t have these easy to spot signs. Different levels of hot water can still scald and can be dangerous on a young child or baby's sensitive skin. 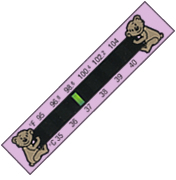 When it comes to a baby's safety these accurate liquid crystal thermometers give reassurance to parents and carers. A Brandable Baby Bath Thermometer should sit nicely along a sponge and shampoo. 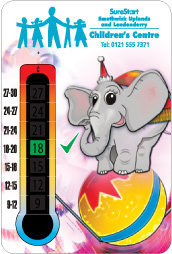 If you have used one of our brandable bath thermometers we would love to hear from you. Every year, come winter season there's an outbreak of Flu, spreading as it usually does with ease. Into it's 5th season of trying to understand the spread Flusurvey is requesting that schools within the UK contribute their data to findings of any flu outbreaks. We can't stop the spread but we can help ourselves by looking for those tell-tale signs such as high temperature. If you have flu, you generally start to feel ill within a few days of being infected. Flu causes a sudden high temperature among other symptoms. 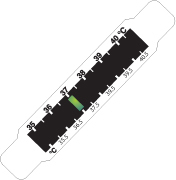 With an extensive range of Fever Thermometers we can help you remain vigilant. Bath time is just one area where care should be taken. Research shows that the majority of accidents happen in the home with 2,000 children in the UK each year attending A&E having been scalded by bath water and about 500 being admitted into hospital with serious scald injuries. With a baby’s skin being 15 times thinner than an adult’s, hot water can pose a real danger to children. Cold before hot. You can make sure the water is the right temperature by putting the cold water in the bath first. When the cold water has run, add the hot to get the right temperature and check with a bath thermometer. 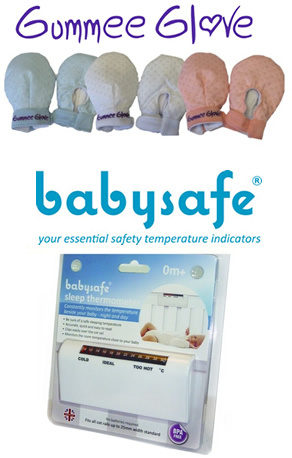 Babysafe® Bath Thermometers ensure safe bathing temperatures for babies and children. The baby’s bath temperature should be kept between 36°C and 38°C. Never put a baby into a bath when the water is still running. The water temperature can change quickly. And never leave a baby along in the bath. Many scald accidents happen when a child gets into the bath before it’s ready, play with the hot tap when they're in the bath or lean over to pick out a toy and fall in. Bath water can cause such bad burns that children need years of treatment and may be scarred for life. Staying with your child all the time when they’re in the bath means you can keep them safe and also share some quality time.